The HEB summer reading program gives kids prizes for reading 10 books over the summer. The 2018 HEB summer reading program is called H.E. Buddy Summer Reading Club. Looking for more summer reading programs that will score your kids some freebies? Check out my list of the best summer reading program freebies. The HEB summer reading program mails kids a special t-shirt for completing their summer reading program. Visit the H.E. 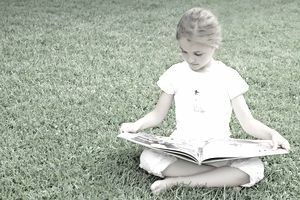 Buddy Reading Club page and click the link called "H‑E‑Buddy Summer Reading Club Form." A PDF file will open that will include the HEB summer reading program reading log. Print out the reading log and have your child record 10 books they read over the summer. A parent will need to initial after each book the child's logged. After all 10 books have been read, fill out the child's name, address, age and phone number. Mail the form to the address on the first page of the HEB summer reading form before October 1, 2018. Your child's t-shirt will show up in the mail 3-4 weeks after they've mailed in the HEB summer reading program reading log. The HEB summer reading program is for children 3-12 years old and who are residents of Texas. The HEB summer reading program ends October 1, 2018, when all forms need to be postmarked by.